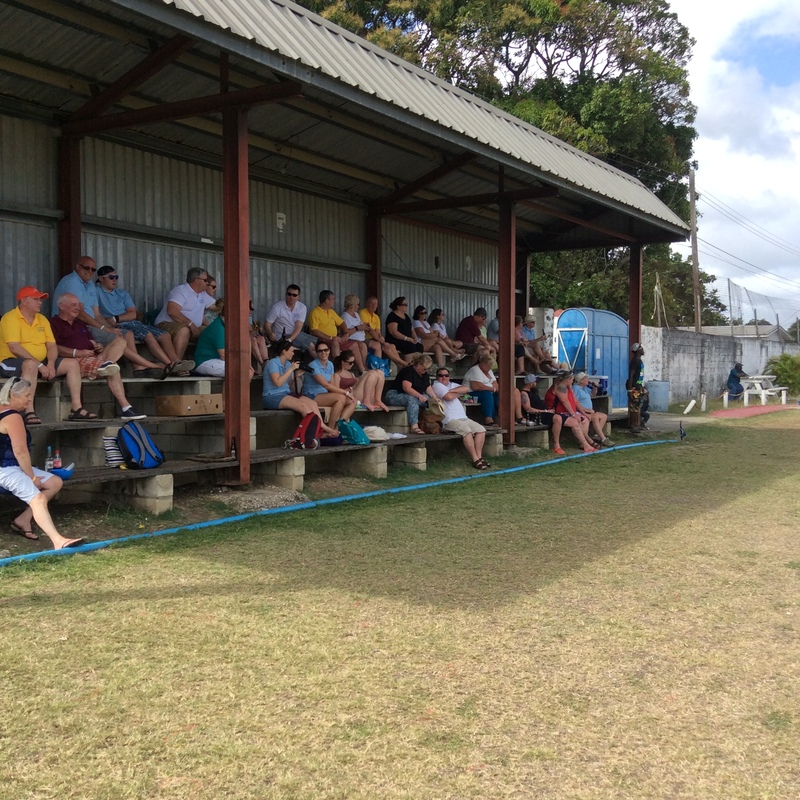 The Empire Club, Bridgetown were the host for the first match on tour. 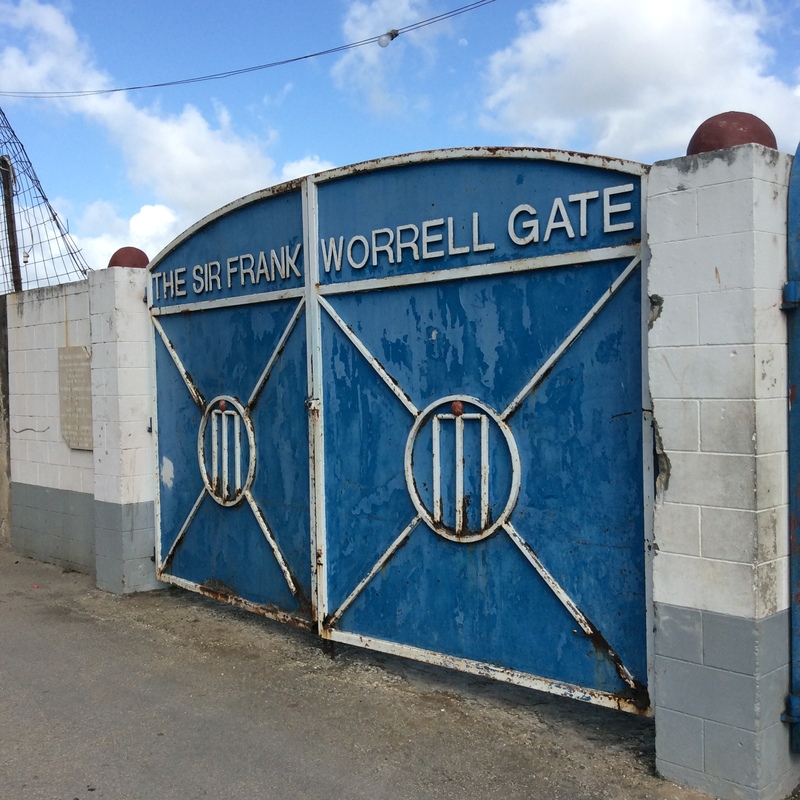 A ground rich in cricketing history as the numerous photographs testify. The visitors won the toss and elected to bat. We had the pleasure of our 4 local friends playing for us who are each top class players on the island. It seemed therefore more than coincidence they appeared to be triggered very quickly by the home umpire. An appeal from square leg and the finger went up, at one time the the finger was being raised even before an appeal was made. Somebody sneezed once on the nearby cruise ship and, you guessed it, up went the finger. I may be doing the umpire an injustice and if they were genuine decisions then I apologise and stand corrected…but I don’t think so. Needless to say with so many players not troubling the scorer a decent target was never going to be set. However one of the locals, Jade Padmore did manage to reach 24. The innings of the day went to one of our own as Dan Cave scored an excellent 34 not out. The whole touring party traveled and sat in the shade of a small stand shouting encouragement at every opportunity. Frocester finished on 77 all out. The host did not have it all their own way though and wickets fell with Richie Cave claiming 3 of the 5 that tumbled in their innings. Empire reaching the target of 78 to win in the 14th over. We were clear winners in the aftermatch drinking and singing battle though. That was never going to be in doubt actually with so much after match practice being completed leading up to the game. First up on the karaoke was Sweet Caroline, quickly followed the usual favourites interspersed with a few drinks, but only to lubricate the voice box you understand! All in all a good day despite the result and we now look forward to the Catamaran trip tomorrow.